Nicky Gavron AM is a Labour London-wide London Assembly Member, deputy chair of the Assembly Planning Committee and the Labour Group Spokesperson for Planning. She was deputy Mayor of London under Ken Livingstone. She has been an elected politician since 1986 and has a track record in urban policy development for every level of government. In particular, she has been at the forefront of developing integrated and sustainable land-use, transport and environmental planning policies for London. In 2000, she became the first statutory Deputy Mayor of London, a post she held for seven years. 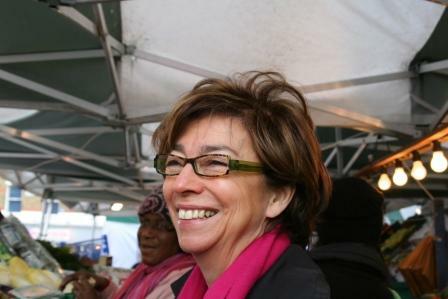 In this role, she worked closely with Mayor Livingstone to set up the Greater London Authority’s working processes and policy frameworks, with particular responsibility for the London Plan and climate change. She also played a central role in shaping the agenda for women and established the GLA’s Children and Young People’s Unit. Leading London’s response to climate change, she introduced policies and programmes to reduce C02 emissions across energy, water, waste and transport. Her initiatives include establishing the London Climate Change Agency and the C40: Large Cities Climate Leadership Group.